No Recipe Can Be as Easy as This! Heat 3 tablespoons of oil in a deep-bottomed pan. Add mustard seeds. Let them crackle. Throw in peanuts. Saute till they become crispy. Add curry leaves, broken red chilies, and cashew nuts. Fry till cashew nuts turn golden. Remove them, and place on a plate. Saute slit green chilies, and crushed garlic in the remaining oil. Fry for a minute. Add fried gram, red chili powder, turmeric powder, hing powder, and salt. Mix well. Turn the flame down very low. 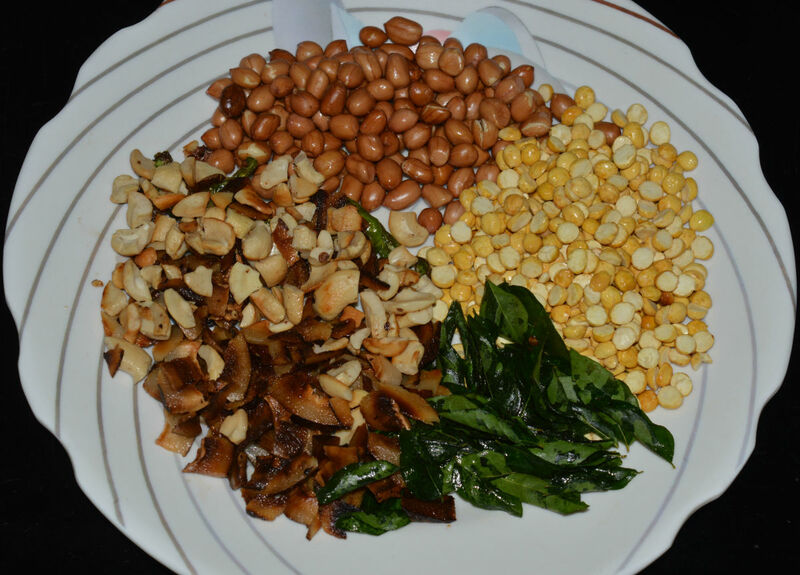 Add fried peanuts, cashew nuts, and the other items on the plate. Add puffed rice. Mix thoroughly with the seasonings and masala. Turn off the fire after 1-2 minutes. 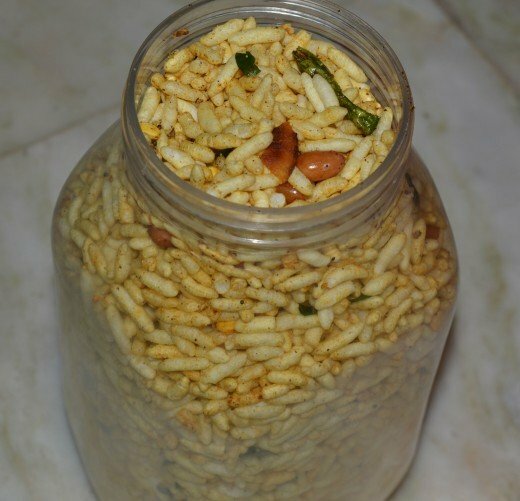 Ensure that puffed rice is nicely coated with the spices. When it cools down, add some sugar powder to balance the taste. Gently mix. 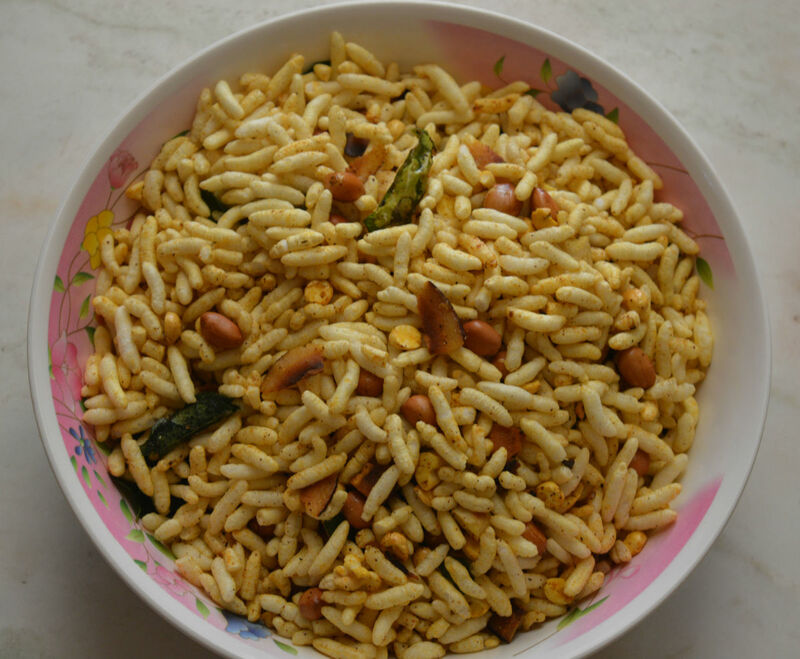 Spicy puffed rice is ready! Eat them any time without feeling guilty. 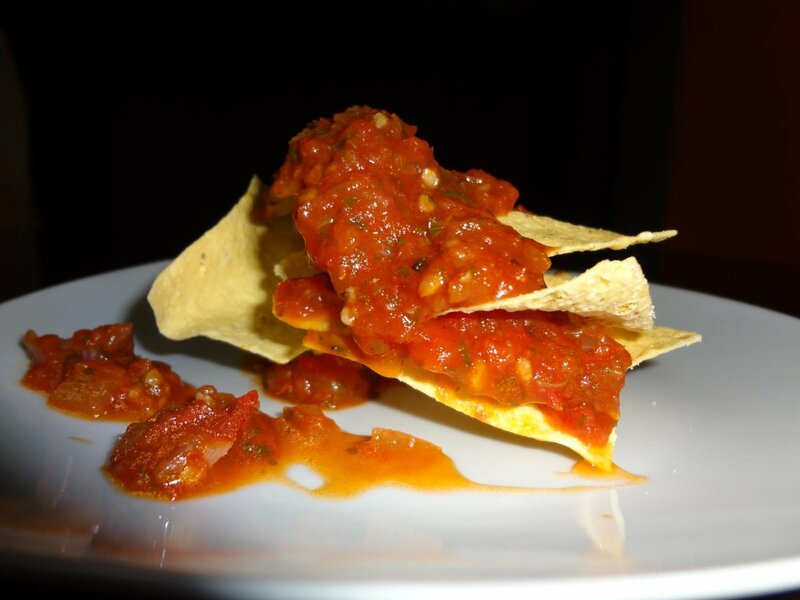 This is a low-calorie snack. 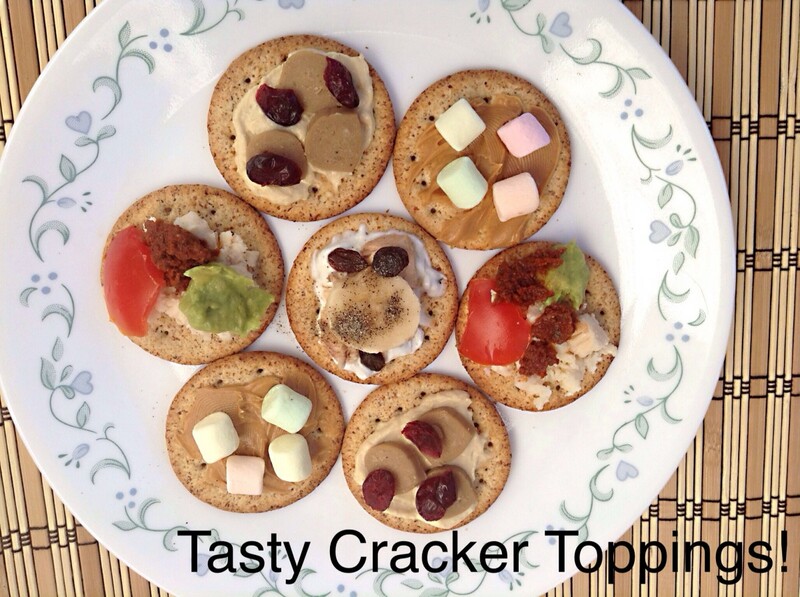 Enjoy eating this crunchy appetizing snack! Store them in an air-tight jar, and use within 1-2 months. Heat 3 table spoons oil in a deep-bottomed pan. Add mustard seeds. Let them pop up. Add peanuts. Saute till they become crispy. This may take about 2-3 minutes on low fire. 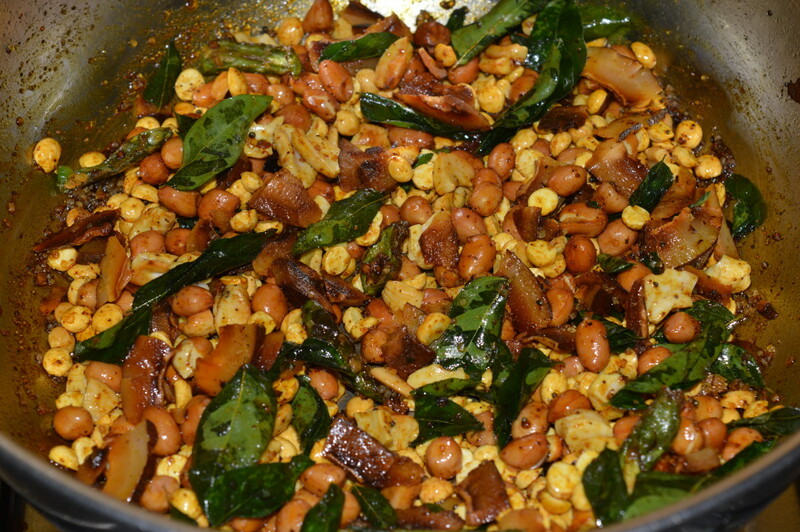 Add curry leaves, broken red chilies, and cashew nuts. 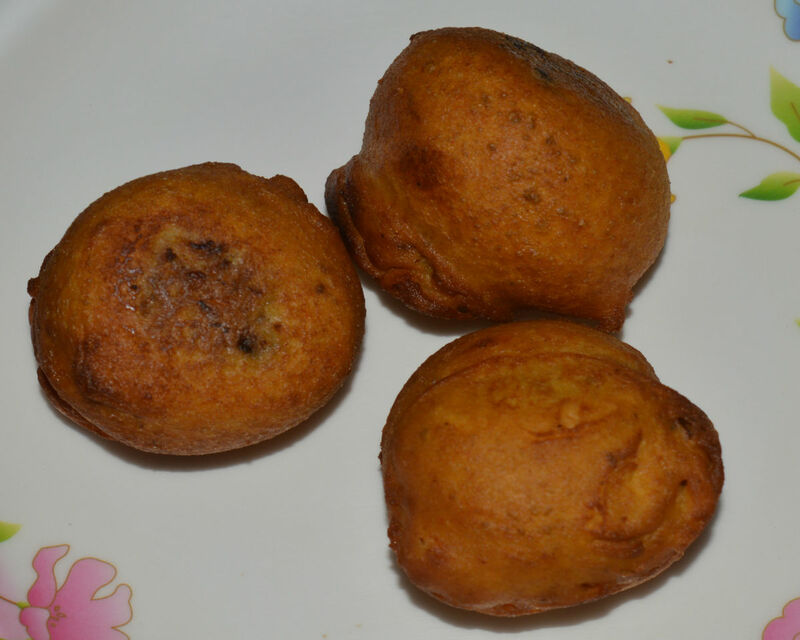 Fry till cashew nuts change into golden. Remove the contents, and place them in a bowl. In the same pan, add slit green chilies and crushed garlic. Saute them in the remaining oil for a minute. Add fried gram, red chili powder, hing powder, and turmeric powder. Saute for a while on a very low fire. Now add the contents that you have collected in the bowl. 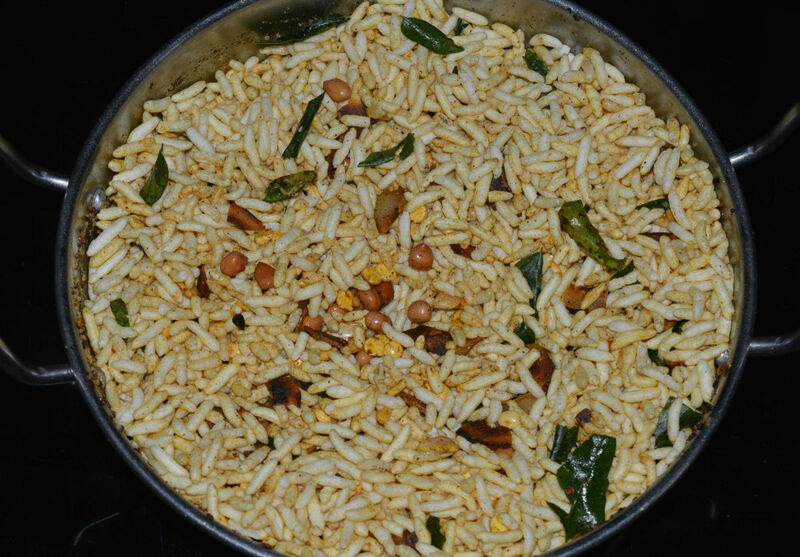 Add puffed rice and salt. 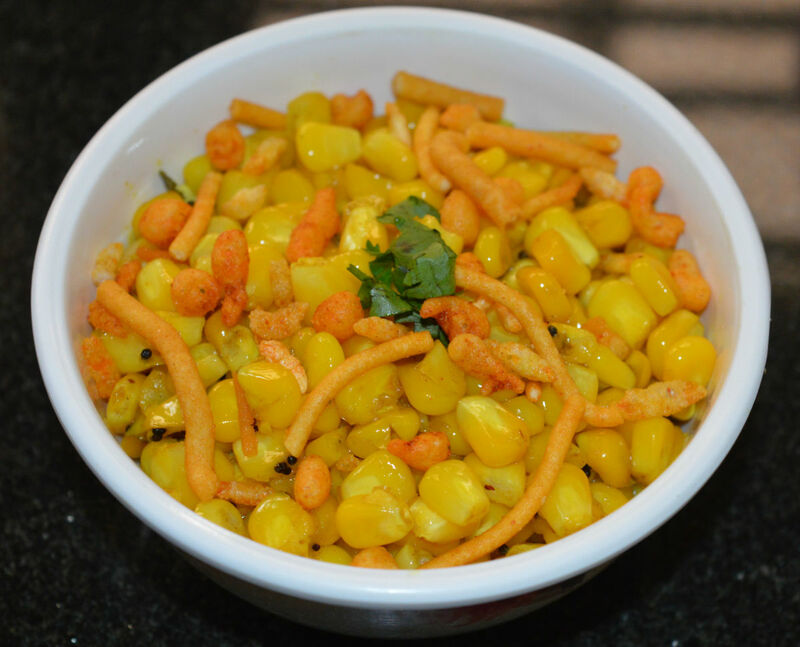 Mix them thoroughly, so that the seasoning and the spices combine well with the puffed rice. Stir the mix on a very low fire for 2 minutes. Turn off the fire. Continue turning the mix for a while to ensure not burning in the bottom. Leave it for cooling. Add sugar or sugar powder once it cools down. Adding sugar is just to balance the taste. 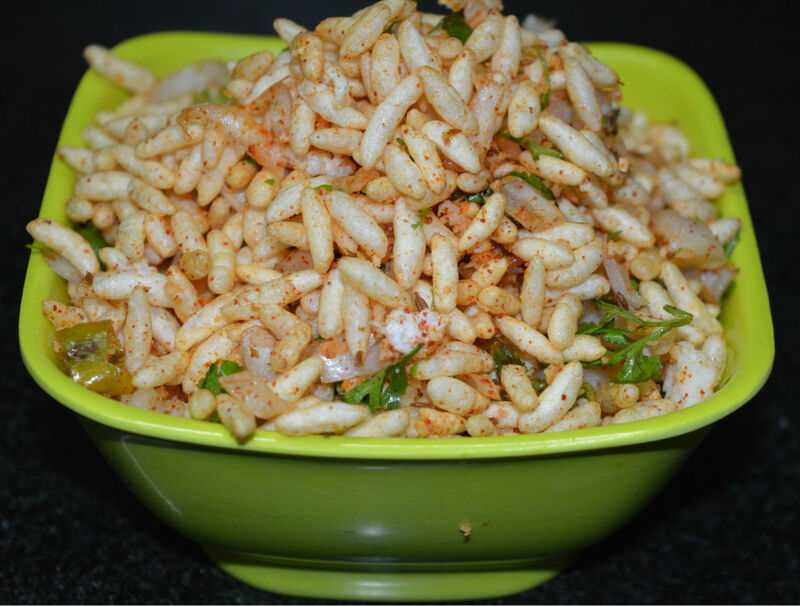 Spicy puffed rice or murmura chivda is ready to munch! 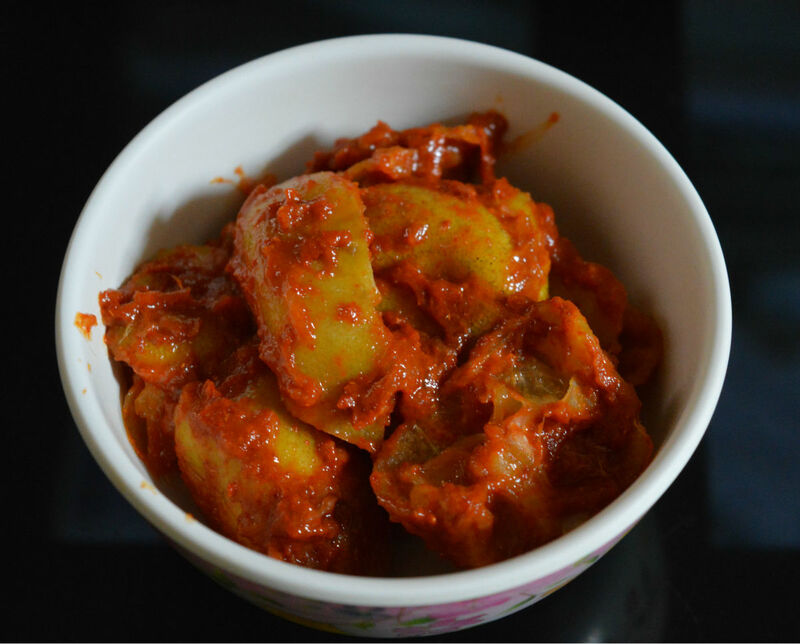 Eat them any time as a snack or serve it with a cup of hot coffee or tea. 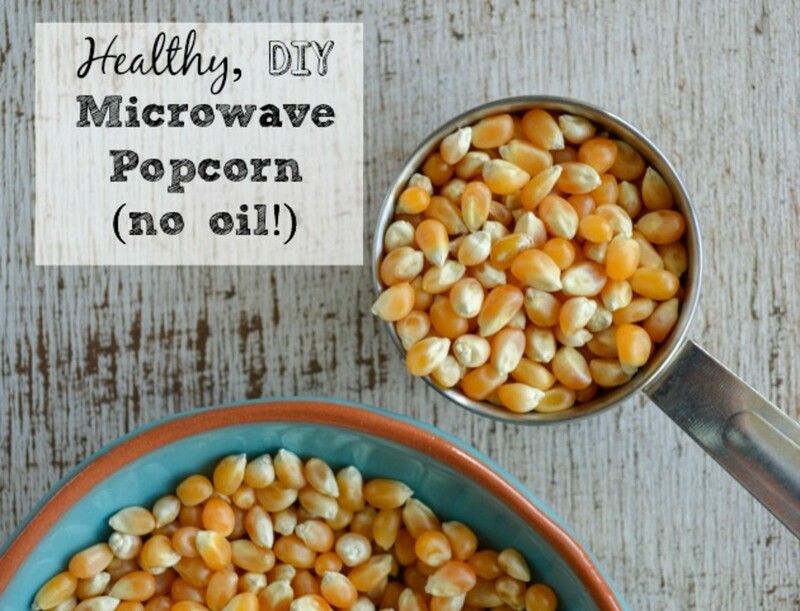 Enjoy eating this low calorie snack! 1. They are very delicious, crunchy snacks that can be stored in an air-tight container for 1-2 months. 2. The measurement of the ingredients may vary according to your preference. 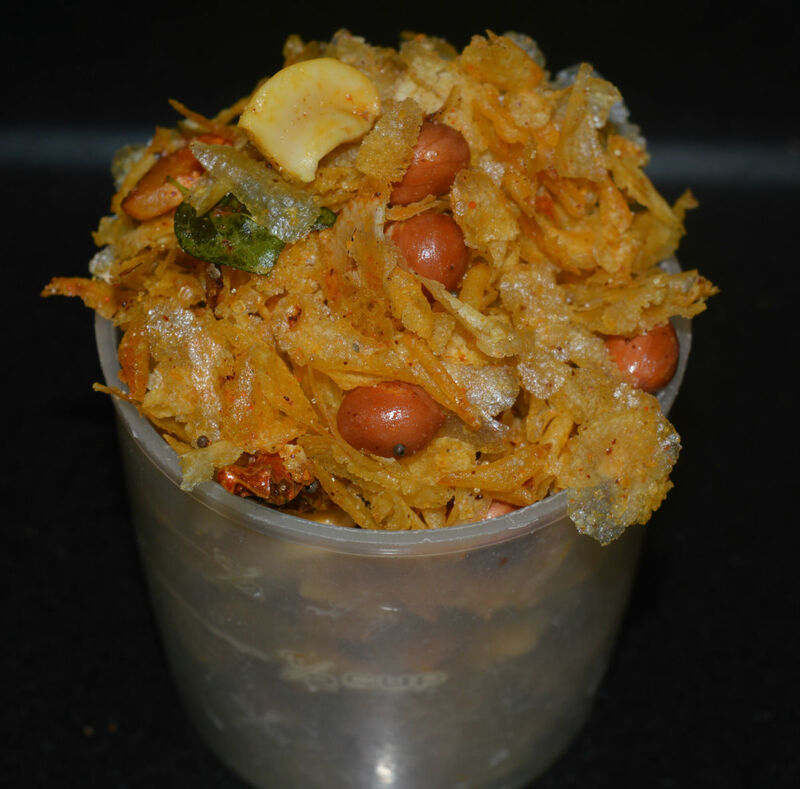 For ex: If you like to have more peanuts or more dry coconut, you can use like that. It won't change the taste either. Step one: Fry the ingredients as per instructions. Step two: Mix all the fried ingredients with the seasonings and spices. Step three: Add puffed rice to the above mix and add salt. Mix well. Stir the mix on very low fire for 1-2 minutes. Turn off the fire. Allow it to cool. Add sugar powder to balance the taste. 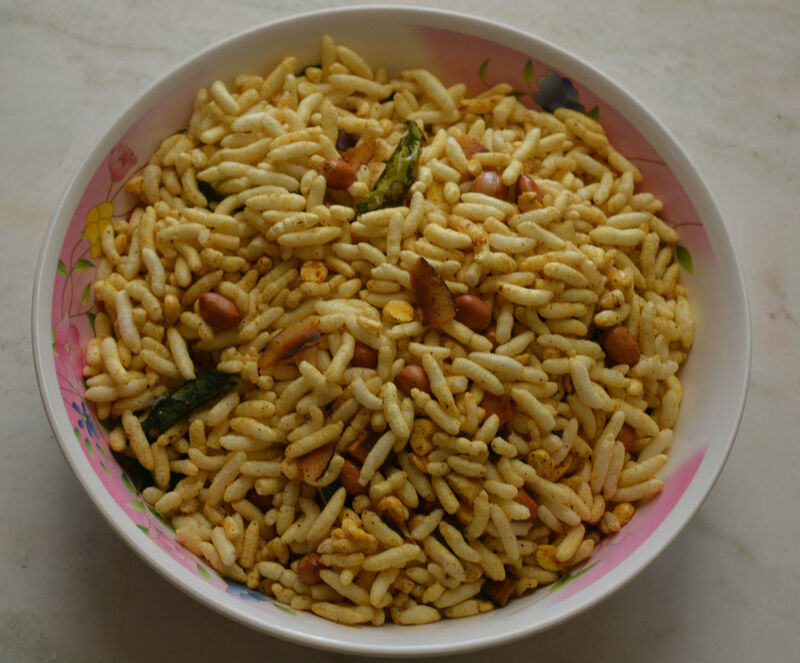 Step four: Spicy puffed rice or murmura chivda is ready to munch! Step five: Once it is completely cool, store it in an air-tight container. Use it for 1-2 months.